Elfdalian, a rare Viking language, is getting a revival after local politicians agreed to build a new preschool in Älvdalen, the small forest community that still uses it. While its name might conjure up images from Game of Thrones or Lord of the Rings, Elfdalian is a real language that is believed to date back to Viking times and is in danger of becoming extinct. Fewer than 60 children can currently speak Elfdalian, but politicians in the remote town of Älvdalen in central Sweden have this week voted to try to save it, by setting up a new preschool where it will be taught. Pupils who begin learning the language aged six will keep it as part of their curriculum until they turn 18. "The decision was made yesterday that they will start to build the preschool," Lotte Andersson, a press spokesperson for the municipality, confirmed to The Local on Wednesday. An ancient Roman amphitheatre, in the town of Fano, in the Marche region, is slowly rotting away beneath an abandoned factory from the early 1900s. “The original builders most probably knew what they were building on, but they were different times,” Fano engineer Salvatore Vittorio Russo told Corriere della Sera. Today, laws prohibit sites of archaeological interest from being developed, something the building's owners – a consortium of local businessmen - discovered to their chargin. Fifteen years ago they gained permission to turn the uncovered 1,830 square-metre ex-factory into 22 apartments. “Before the project could get underway the council asked to perform a geophysical scan and found the remains of the theatre under the factory floor,” Russo explained. No contemporary sources mention Erik Jedvardsson, the Swedish king who was later sainted. The only account of his life is the saint's legend, in its preserved form written in the 1290's. Such legends are often unreliable. 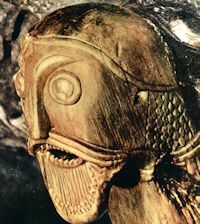 The Erik legend is, however, based on an older legend which has been lost, and this longer legend may have been much older. Experts were able to match the runes to a 1767 drawing. A rune stone likely dating back to around the year 1000 has been discovered in northern Denmark, some 250 years after it was last seen, the National Museum of Denmark said on Thursday. Researchers had long since given up hope of ever recovering the lost Viking artefact when a farmer contacted Museum Thy in November to say that he had a large stone with some stripes on it in his back yard that he thought experts might want to see. The museum’s archaeologist Charlotte Boje Andersen and runologist Lisbeth Imer from the National Museum visited the farmer this week and were absolutely shocked by what they found. A cross discovered by an amateur Danish archaeologist may "change history" according to an expert, who believes the cross may date from before Christianity is thought to have reached Denmark. An amateur archaeologist on the island of Funen made a startling discovery last week – a necklace resembling Jesus on the cross. But after posting a picture of the discovery on Facebook, Dennis Fabricius Holm quickly found that the item may have a lot more significance than he had initially thought. “I finished work early last Friday, so I decided to spend a couple of hours searching with my metal detector,” Holm told national broadcaster DR.
Scientists revealed today that they have found the first-ever well preserved brain of a Pleistocene canid. 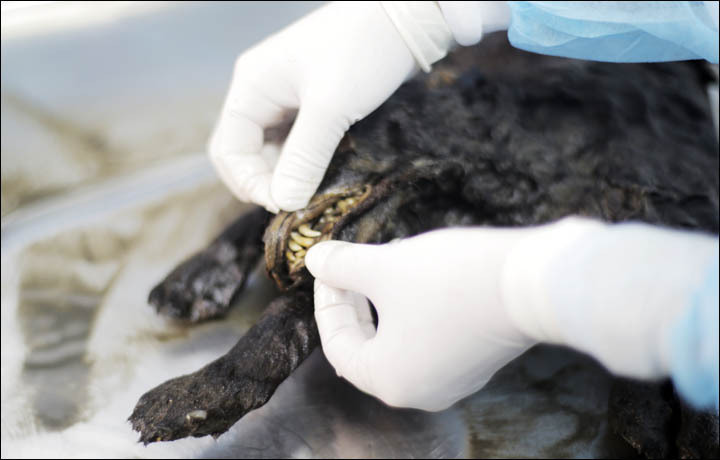 Our exclusive video and pictures show the autopsy on a carcass of a suspected pet puppy found mummified close to what are believed to be signs of human activity in the Ust-Yansky district of the Sakha Republic - also known as Yakutia - on a steep bank of the River Syalakh. Present at the examination of the remains in regional capital Yakutsk was Hwang Woo-suk, the pioneering South Korean professor who is actively involved in seeking to clone woolly mammoths and other extinct creatures. The ancient dog is now added to the list of animals he wants to bring back to life. A warrior king buried almost 2,500 years ago has been discovered in an iron-age settlement unearthed at the foot of the Yorkshire Wolds. The remains of the burial ground is being hailed as one of the largest and most significant iron age finds of recent times. 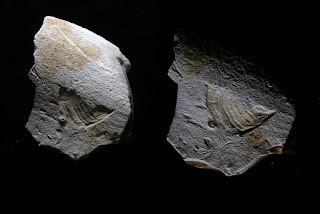 In 2014 a housing developer stumbled upon the fossil site in the small market town of Pocklington in east Yorkshire, a find that is said to be of extreme “national and international significance”. One of the most exciting discoveries was the “remarkably” well-preserved remains of a youthful warrior. Found in the cemetery and dated to 800BC he had been ritually speared to “release his spirit” and lay in the ground next to his sword. A gilt bronze buckle dating to more than 1,000 years ago has been found buried with a woman in a Viking grave in west Denmark. Determining the origin of the 2.4-inch-wide buckle has been a major challenge, according to archaeologist Ernst Stidsing of the Museum of East Jutland. Stidsing sent photos of the buckle to a colleague who was stumped and who sent them on to other experts. They agreed that it was from the British Isles, but were divided on exactly which part—some said Ireland, others the south of Scotland. They agreed, however, that the disc was originally a decoration on a religious box and was only used as a buckle after it was stolen. This depiction is very distinct and probably unique in the Aurignacian period, during which Modern Humans arrived in western Europe. It is exceptional in its degree of naturalism, the nature of its support—the cortex (limestone coating) of a flint flake—and the engraving technique used. This “sunk relief” technique was identified through microscopic and 3D analyses realized at Cenieh (Burgos, Spain). La fouille révèle une occupation du site du Ier siècle avant notre ère au XVIIIe siècle. L’époque moderne est marquée par la présence successive d’un château défensif puis résidentiel. Couplées à des recherches en archives, ces découvertes contribuent à une meilleure connaissance des abords de Lille et la vie quotidienne de ses habitants. 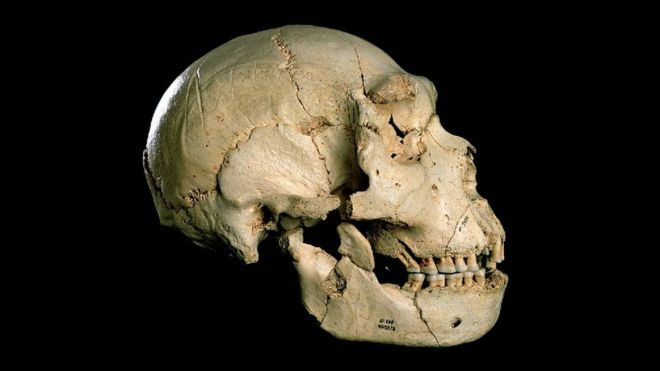 The oldest "nuclear DNA" from a human has identified some early representatives of the Neanderthal lineage. The well-preserved ancient remains from the "Pit of Bones" site in Spain have been known for more than three decades. They are about 400,000 years old, but their relationships to Neanderthals and other ancient relatives has been hotly debated. DNA analysis confirms that they lie on the evolutionary line to Neanderthals. According to Tacitus, perhaps the greatest of all Roman historians, it was the great temple of Jupiter Optimus Maximus on the Capitoline Hill that held the key to the future of ancient Rome. Dozens of firefighters have been battling to save a historic Tudor mansion after a blaze destroyed its roof and first floor. Wythenshawe Hall, a timber-framed former stately home turned museum and art gallery, has been badly damaged in the fire early on Tuesday. The fire broke out in the roof of the 16th Cenbtury building, near Manchester, at just after 3.30am. No one was inside or hurt, but firefighters said they were "doing everything we can" to save the property. A fire has torn through a Tudor mansion in Manchester, causing “devastating” damage. At its peak more than 50 firefighters using 10 appliances and an aerial platform battled the blaze at Wythenshawe Hall. The flames badly damaged the 16th-century building’s clock tower and its roof after fire broke out in the early hours on Tuesday, Greater Manchester fire and rescue service said. The blaze was later brought under control and the area manager, Warren Pickstone, said firefighters were investigating the cause with Greater Manchester police. 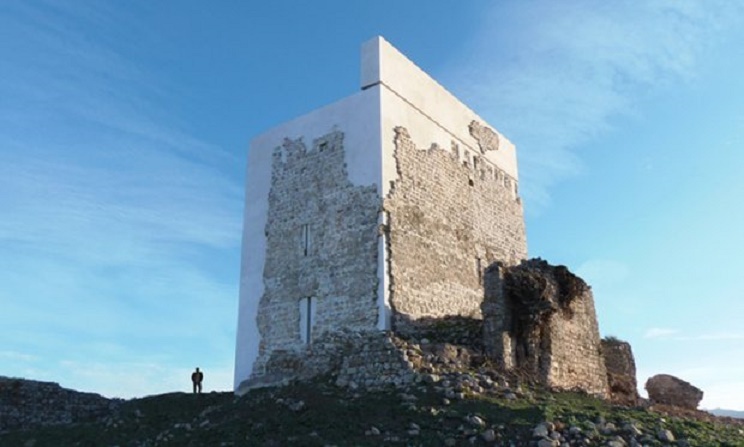 Work on a ninth century Spanish castle has been labelled the world’s worst restoration project by locals who have slammed it as a “disaster”. Castillo de Matrera in Cádiz in southern Spain is a listed building and an official site of cultural interest which has withstood assaults by Moors and Christians but seems to have finally succumbed to restoration work. The beautiful building had needed structural work after part of it collapsed following heavy rains but bosses hired a local building firm rather than archaeological experts to carry out the work. They used grey concrete to fill in and square off the crumbling, sand coloured stone, with locals now saying the ancient fortress looks ‘absolutely terrible’ and is ‘a disaster of a project’. An untouched Bronze Age burial mound is a rare thing in the archaeological landscape of Britain, but in a sleepy corner of the North West a metal detectorist’s chance discovery is about to trigger a major dig that archaeologists hope will uncover more secrets of our pre-historic ancestors. Archaeology crowdfunding platform, DigVentures, has launched a campaign to excavate the rare unexplored Bronze Age barrow in what will be the first scientific excavation of an undisturbed burial mound from the period in the region in over 50 years. In this natural color Landsat OLI image, long sediment plumes extend from the wreck sites of the SS Sansip and SS Samvurn. Insets show elevation models (created by a multibeam echosounder) of the wrecks on the seafloor. An estimated 3 million shipwrecks are scattered across the planet’s oceans. Most maritime mishaps take place close to shore where hazards to navigation — such as rocks, reefs, other submerged objects and vessel congestion — are abundant. While there is a romantic association of shipwrecks and buried treasure, it is desirable to know where they are located for many other practical reasons. The ships may be of historical significance or, if the hard substrate of the ship has created a reef, of ecological significance. Modern-era shipwrecks are also commonly sources of pollution, leaking onboard fuel and corroded heavy metals. Nearshore shipwrecks can be navigational hazards themselves. Researchers have found that shipwrecks near the coast can leave sediment plumes at the sea’s surface that help reveal their location. Using data from the NASA/USGS Landsat 8 satellite, researchers have detected plumes extending as far as 4 kilometers (about 2.5 miles) downstream from shallow shipwreck sites. This discovery demonstrates for the first time how Landsat and Landsat-like satellites may be used to locate the watery graves of coastal shipwrecks. Motorway construction workers have unearthed archaeological artefacts which experts believe may be from a lost medieval Scots village. The crew made the discovery 18-months ago on the verge of the M74, near J6, opposite Hamilton Services. It included two structures, coins and pieces of pottery and smoking pipes. 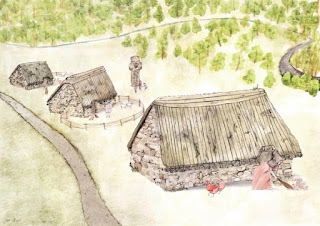 Archaeologist believe they may be more than 1,000 years old and could finally identify the location of the lost village of Cadzow. Cadzow was the name given to a community on the edge of the River Clyde at this location until 1445. Jesus was a toddler gingerly taking his first steps into the wider world when the Romans built the walls of their fortress in Cologne. 2,010 years later it’s still standing, and has just been given a makeover. Not only is the six-meter-high wall the oldest stone structure in Germany, it’s the oldest north of the Alps, Markus Trier, director of the Roman-German Museum boasted on Friday. While the people of the Orkney Islands in Scotland - where the stone walls of Skara Brae date back to 3,100 BC - might have something to say about that claim, the reopening of the wall will provide a welcome boost to Cologne’s tourism after a series of negative headlines for the city in recent months. Our seas and oceans are home to a tremendous amount of archaeological sites and artefacts. These invaluable witnesses to history are often difficult to locate, and even then experts are still faced with the question of whether to conserve them in situ or bring them to the surface. The SASMAP project has developed tools and technologies that will help solve both conundrums. The value of underwater cultural heritage no longer needs to be proven. According to UNESCO estimates, some 3 million ships wrecks are spread across the world’s ocean floors. And that’s without counting submerged heritage sites: In Denmark alone, where the ‘UNESCO Scientific Colloquium on the Access to Underwater Cultural Heritage’ will take place from 8 to 9 June 2016, around 20 000 sites can be found. It therefore comes as no surprise that the National Museum of Denmark, as coordinator of the SASMAP project, set out to help archaeologists to better map and protect these hidden treasures. Our seas and oceans are home to a tremendous amount of archaeological sites and artefacts. These invaluable witnesses to history are often difficult to locate, and even then experts are still faced with the question of whether to conserve them in situ or bring them to the surface. The SASMAP project has developed tools and technologies that will help solve both conundrums. 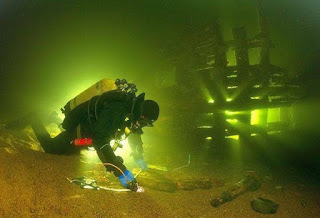 New tech and tools to map, protect underwater treasures Diver investigating a wreck in the Baltic Sea [Credit: neatorama] The value of underwater cultural heritage no longer needs to be proven. According to UNESCO estimates, some 3 million ships wrecks are spread across the world’s ocean floors. And that’s without counting submerged heritage sites: In Denmark alone, where the ‘UNESCO Scientific Colloquium on the Access to Underwater Cultural Heritage’ will take place from 8 to 9 June 2016, around 20 000 sites can be found. It therefore comes as no surprise that the National Museum of Denmark, as coordinator of the SASMAP project, set out to help archaeologists to better map and protect these hidden treasures. This is the latest addition to an ancient Roman map puzzle. A fragment of the world’s oldest and largest unsolved jigsaw puzzle, a 2,200-year-old map of Rome made of thousands of marble fragments, has been finally reunited to the other existing pieces, according to the Rome Cultural Heritage Superintendency. The map, known as Forma Urbis Romae, was carved into marble slabs between 203 and 211 A.D., during the rule of the emperor Septimius Severus. "The Mycenaean presence in Upper Macedonia is now well established by the discovery of several settlement types throughout the region", says archaeologist Georgia Karamitrou-Mentesidi. Did Henry VIII suffer same brain injury as some NFL players? Detail of portrait of Henry VIII by the workshop of Hans Holbein the Younger. Henry VIII may have suffered repeated traumatic brain injuries similar to those experienced by football players and others who receive repeated blows to the head, according to research by a Yale University expert in cognitive neurology. Traumatic brain injury explains the memory problems, explosive anger, inability to control impulses, headaches, insomnia — and maybe even impotence — that afflicted Henry during the decade before his death in 1547, according to a paper published in the Journal of Clinical Neuroscience on Feb. 5. “It is intriguing to think that modern European history may have changed forever because of a blow to the head,” said Arash Salardini, behavioral neurologist, co-director of the Yale Memory Clinic and senior author of the study. 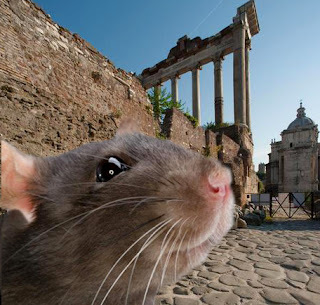 A ticket desk for the Roman Forum and the Palatine Hill was closed on Wednesday due to a reported rat emergency that has hit the area and the Palazzo Massimo museum near Rome's central Termini station, Archaeology Superintendent Francesco Prosperetti said. Prosperetti said it was a "big problem" that the superintendency "cannot address" on its own. "A rat got trapped in a gap on the roof and the staff member who was working there saw blood drip on the desk," Prosperetti said when asked why part of a new ticket office was closed despite long queues. A ring believed to have belonged to Joan of Arc is being returned to France for the first time in 600 years after being sold at auction for almost £300,000. The ring was bought by the Puy du Fou foundation, which runs a historical theme park in France, at auction in London for around 30 times its estimate. 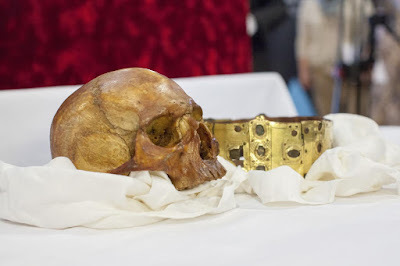 The Puy foundation said the ring's return to France was highly symbolic. The news was greeted by those on the Far Right in France, for whom this has become something of a cause célèbre. Front National leader Marine le Penn sent a thank you message on Twitter to Philippe de Villiers, the founder of Puy du Fou, for bringing the ring back to France. The images of chimps thrilled me: do they show evidence of spirituality in the wild? A fter more than half a century of scientists studying chimpanzees in the wild, it was easy to think there were no surprises left. But there it was, right before our eyes – a new behaviour in our biological next of kin. We were a group of six on a field mission in the Republic of Guinea, investigating all aspects of a previously unstudied chimp community. These chimps didn’t enjoy the comforts of a protected area, but instead eked out their existence in what little habitat was left between expanding farms and villages. The day of the discovery began as any other, struggling through the thorny African savannah while swatting away the sweat bees thirsty for our perspiration. We were surveying the area, looking for signs of chimps. We came to a stop at a clearing in the bush. I was relieved. It gave me a chance to untangle the thorns caught in my hair. But why had we stopped? The remains of an Anglo-Saxon island have been uncovered in one of the most important archaeological finds in decades. 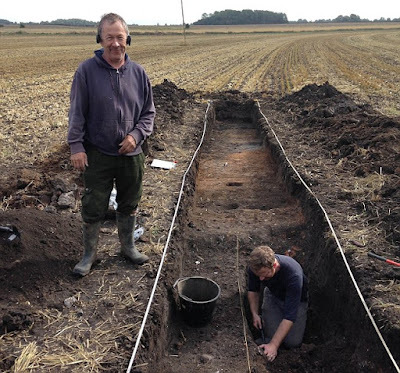 The island which was home to a Middle Saxon settlement was found at Little Carlton near Louth, Lincolnshire by archaeologists from the University of Sheffield. It is thought the site is a previously unknown monastic or trading centre but researchers believe their work has only revealed an enticing glimpse of the settlement so far. Les archéologues de l’Inrap ont découvert une panoplie d’outils agricoles du IIIe siècle, dans la cave incendiée d’une ferme antique à Saint-Clément (Yonne). Fouillé à l’automne 2015, sur prescription de l’État (Drac Bourgogne), dans le cadre de l’aménagement d’un lotissement par Brennus habitat, le site a livré d’intéressants vestiges de l’âge du Bronze et une partie de villa antique dont est issu cet important lot de mobilier métallique. Ce corpus unique livre quantité de renseignements sur l’organisation et le fonctionnement des fermes gallo-romaines. Chimpanzees in Guinea and the forests of Liberia have been observed picking up stones and throwing them at a tree as well as placing them gently at the base - behaviour that appeared to serve no purpose and could be evidence of "ritualistic behaviour" in animals. "What we saw on this camera was exhilarating – a large male chimp approaches our mystery tree and pauses for a second. He then quickly glances around, grabs a huge rock and flings it full force at the tree trunk," said Laura Kehoe, PhD researcher at Humboldt University of Berlin. A poster of the 2015 archaeological excavations of the Early Byzantine and medieval fortress near Bulgaria’s Banya from the exhibition of the Panagyurishte Museum of History. The first ever archaeological excavations of the Late Antiquity and Early Byzantine fortress known as “Kaleto" near the town of Banya, Panagyurishte Municipality, in Central Bulgaria, have found that the fortress was rebuilt and used in the 12th-14th century by the Second Bulgarian Empire (1186-1396 AD). The 2015 excavations of the fortress near Banya were conducted by Assoc. Prof. Valeri Grigorov from the National Institute and Museum of Archaeology of the Bulgarian Academy of Sciences, together with Lyubka Todorova, archaeologist from the Pazardzhik Regional Museum of History, Georgi Abdulov, former Director of the Panagyurishte Museum of History, and Vasil Katsarev, curator at the same museum. The artifacts discovered during the digs have now been showcased in a special exhibition of the Panagyurishte Museum of History entitled “Banya’s Kale – Archaeological Summer 2015", which was opened on March 1 in the Museum’s Archaeology Hall. Manganese dioxide is abundant in nature, and owing to their colour, these oxides have been used as pigments since the Stone Age. Some of the cave paintings in Lascaux, France, for example, were produced with manganese-based pigments. In a series of compositional analyses, scientists from Leiden University and Delft University of Technology conclude that Neanderthals at Pech-de-l'Azé I in South Western France had a strikingly different use for this mineral 50,000 years ago. During excavations at several Neanderthal sites in France large numbers of small black 'blocs' where found. The usual interpretation is that these chunks of 'manganese oxides' were used for their colouring properties in body decoration, potentially even for symbolic expression. However Neanderthals habitually used fire and if they needed black material for decoration, soot and charcoal were readily available, whereas manganese oxides would have necessitated a considerably higher investment in both time and energy to obtain. Some of Europe's earliest inhabitants mysteriously vanished toward the end of the last ice age and were largely replaced by others, a new genetic analysis finds. More than a dozen hitherto unknown monumental megalithic tombs, have been discovered near Dolice (Western Pomerania) by archaeologists from Szczecin. They are so-called Kujawy tombs, often referred to as "Polish pyramids" because of their monumental character. 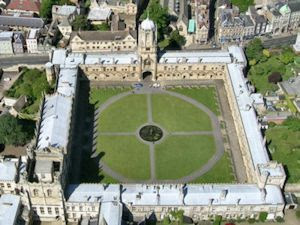 These ground structures were built in the shape of an elongated triangle and surrounded with huge stone blocks. The width of the base ranged from 6 to 15 meters and length reached 150 m. The structures reached a height of 3 m. The mounds usually contained single burials. Tombs were erected by the Funnel Beaker Culture community from the fifth to the third millennium BC According to archaeologists, people buried in these tombs were associated with the elders of the tribe and clan. 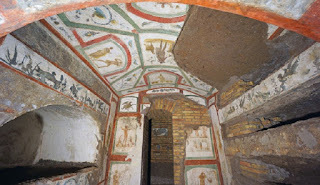 The culmination of a one year project to restore the paleochristian frescoes that decorate the Roman catacombs of Sts. Marcellinus and Peter "ad duas lauros", was announced by the Vatican this week. This initiative was the result of an agreement signed in June 2012 between the Pontifical Commission of Sacred Archaeology of the Vatican and the Heydar Aliyev Foundation (HAF) of Azerbaijan, which funded the project. Among the restored frescoes are those of the cubicle of Susanna and the fossor, the niche of Daniel, the arcosolium of Orpheus, the cubicle of Our Lady with two Magi, and the cubicle of the praying matron. The remains of an Anglo-Saxon island have been uncovered in Lincolnshire in a significant find that has yielded an unusually wide array of artefacts. 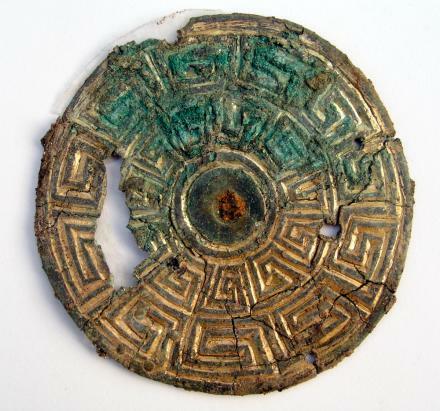 The island, once home to a Middle Saxon settlement, was found at Little Carlton near Louth, Lincolnshire, by archaeologists from the University of Sheffield after a discovery by a metal detectorist. Graham Vickers came across a silver stylus, an ornate writing tool dating back to the 8th century, in a disturbed plough field. He reported his find and subsequently unearthed hundreds more artefacts, recording their placement with GPS, thus enabling archaeologists to build up a picture of the settlement below. The artefacts include another 20 styli, about 300 dress pins and a huge number of sceattas – coins from the 7th-8th centuries – as well as a unusual small lead tablet bearing the female Anglo-Saxon name “Cudberg”. Glanzstück der Bronzezeit oder Fälschung?